Connected LED lighting enables numerous applications when integrated with sensors and other components. Smart lighting and related applications are becoming more and more common in our daily lives through the integration of healthcare, education and commercial real estate. As the global smart lighting market continues to grow, LEDinside estimates that its market scale might reach US$ 13.4 billion in 2020. This year at CES, many companies have integrated smart lighting with a wide range of applications to demonstrate the potential of connected LED lighting. Kohler announced enhancements to its KOHLER Konnect portfolio of smart products at CES 2019. KOHLER Konnect features innovative kitchen and bath products that use voice commands, motion control, and personalized preset. The system includes Veil Lighted Bathroom collection which brings connected lighting into the entire bathroom space. Within the system, an intelligent toilet, freestanding bath, lighted mirror, and lighted three-piece vanity work together with integrated lighting that mimic nature to create various moods that enhance well-being. 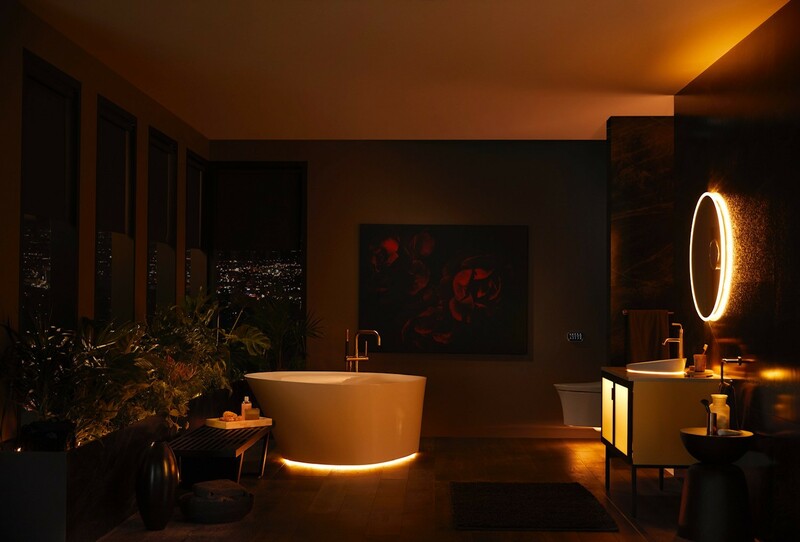 Through the collaboration with Signify, Kohler has integrated Philips Hue’s API in the system for users to control their lights via the KOHLER Konnect app. Security products and service provider Ring is presenting its newest home security product line, Ring Smart Lighting at CES 2019. By combining energy efficient LED lights with motion sensors and Ring’s proprietary long-range network, Ring Smart Lighting can turn on other Ring Smart Lights as well as Ring Doorbells and Cams and alert customers of motion on their property. The new smart lighting series products create a network of outdoor, motion-sensing lights that work together to illuminate the dark areas around the home. The lights will automatically turn on when they detect motion and send notifications via the Ring app on users’ mobile devices. 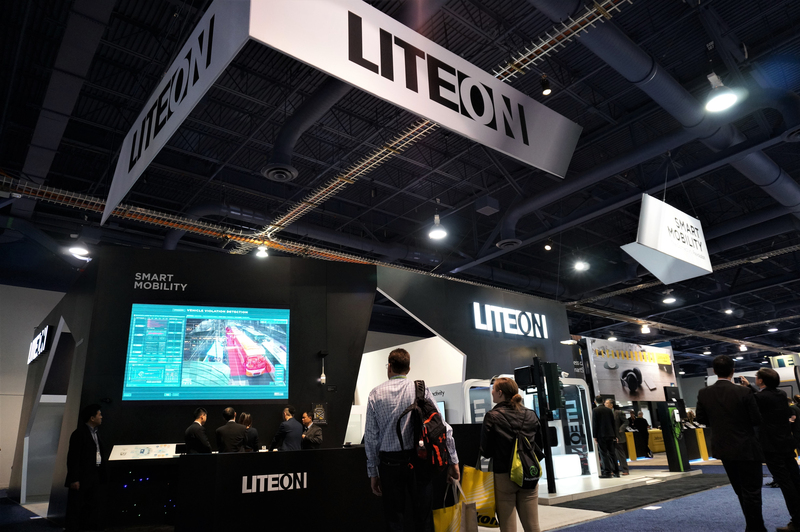 This year at CES, Taiwan-based Lite-On Technology is showcasing its AI-enabled smart street light solution and traffic management solution during the event. The company has also cooperated with Tsinghua University in Taiwan to implement its first vertically-integrated connected lighting solution in the campus. The projects incorporate in-house Wi-Fi AP, surveillance cameras, light poles and wireless communication technology to ensure campus security.